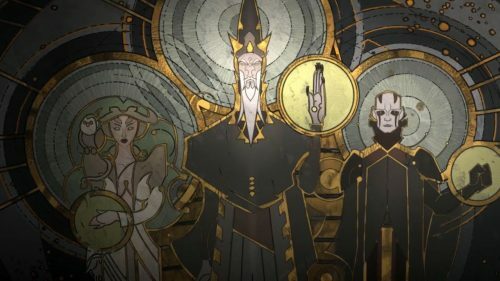 You may recall in The Clone Wars, that Anakin, Obi-wan, and Ahsoka find themselves led to the planet Mortis, where the Father (of the same name as the realm), Son, and Daughter resided. They represented the force: balance, darkness, and light respectively. They are ultimately destroyed in the Clone Wars, but leave us with some incredible insights into the power of the force and destiny, and they give Anakin a glimpse into his own future and purpose as the chosen one. Later in the Rebels cartoon, Ezra and Sabine infiltrate an imperial camp set up around the Jedi Temple on Lothal. Very clearly depicted is an intricate mural of Mortis (the Father), his son, and daughter. This mural acts as a key to gain entry into the World Between Worlds. This realm is a gathering place for time and space. Many doors allow access into any point in space-time, and offer the power to change the past (sort of… it’s rather timey-wimey). 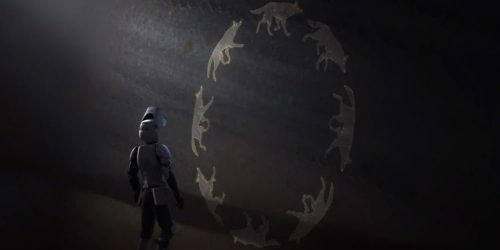 Ezra uses this power to save Ahsoka from being killed by her former master, Darth Vader, but realizes that using the power to save Kanan would only result in his own death, and therefore declines to do so. 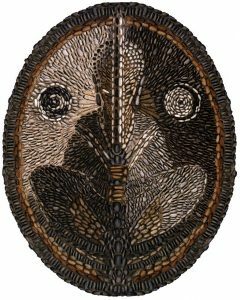 Emperor Palpatine, seeking for ‘unlimited power’ attempts to gain access to the World Between Worlds, but because he cannot trap Ezra nor Ahsoka, is thwarted in his attempt. So let’s get to the good stuff. How does this affect the Saga timeline? What was Luke really doing on Ach-to? As Han explains, “some say he went in search of the first Jedi temple.” And with reason. You guys. Rian Johnson may have depicted Luke as simply an angry old guy running from the problems of the galaxy, but I have never believed that. Even though that is what made so many people angry about The Last Jedi. It’s what Rey believes, but it’s not necessarily what is true. Obviously, in his time there on the island, do you really think he did nothing but drink sea-cow milk? No, I propose the theory that he was very much involved in learning about the ways of the Jedi. Instead of cutting himself off from the Force, he was able to hide himself from it so that the original temple would not be found by Snoke. He used the force in ways that he would have to have trained for years to learn at the end of the movie, and whether you like the movie or not, he discourses Rey in the balance of the force in one of the most moving verbal depictions in the Star Wars universe. Light, darkness, peace, violence… and between it all? Balance. Luke dies a hero, but is not gone from the story, nor is light and hope gone with him. So again I ask you, what was he really doing? Luke chose the site of his untimely exile carefully. Say what you will about him running away from his problems. If that was really the reason he exiled himself, why do it at the original Jedi Temple? Why not do it somewhere that has no connection to the Force – somewhere boring where he would be hiding from his problems? 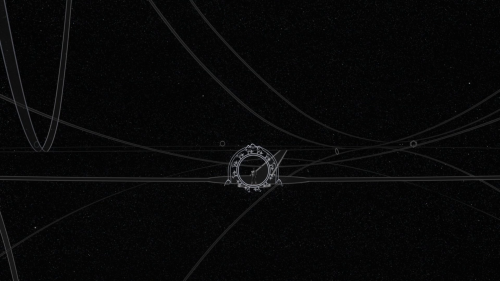 Here is the rumor: Luke was looking for another portal to the World Between Worlds, located in the temple on Ach-to. What if in Episode IX we find Rey returning to Ach-to and, like young Ezra Bridger, gains access to the World Between Worlds? This could change everything. Luke could be saved, and he, the Father, Rey, the Daughter, and Kylo Ren, the Son would take the places of Mortis and his children as the embodiment of the force. This would eliminate the easiness for new powers to take control of the galaxy and explain the extreme abilities of Rey and Kylo. It would set the Galaxy in order. What do you think? Would this make the Last Jedi make more sense? Sure, there may have been things I would have done differently with Ep8, but I have always said since I sat in the theater, that it felt like Star Wars to me. Now I think I have a better grasp on why. Previous Article: US Toy Market Shrinks 2% In 2018, Action Figure Sales Increase By 10%!